At Stanley Chrysler Dodge Jeep Ram Brownwood we believe you don’t have to compromise on quality in order to get a vehicle you can afford. That is why you will find a mix of pre-owned vehicle specials, as well as used vehicles priced under $10k, at our Brownwood dealership. See what gems you can find in our inventory and stop by for a test drive today. What are the Advantages of Buying Pre-Owned? You can get the features you want that may have been out of your price range when looking at a new vehicle. You can avoid additional shipping or destination fees by purchasing straight from the lot. Vehicles are designed to last longer than ever before. You can also avoid upgrades and features that you don’t want. 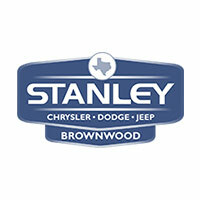 When you are looking for a pre-owned vehicle, make sure to check Stanley Chrysler Dodge Jeep Ram Brownwood. We offer more than just great vehicle specials, we are dedicated to keeping your used car running and in top condition. After you find the pre-owned vehicle you are looking for, visit our full-service department and tire center to care for the car you invest in.